When I look back on the past five years I’ve been working with WordPress, I feel the real weight of the journey I’ve had to get where I am. Much of it has been filled with challenge of both of the difficult and welcome variety. I’m an optimist and problem-solver to the core, but I sometimes wonder how I got through these past years. One thing is for certain, my involvement with WordPress, the opportunities and community around it, has been a force for so much good, motivation, and satisfaction in my life. 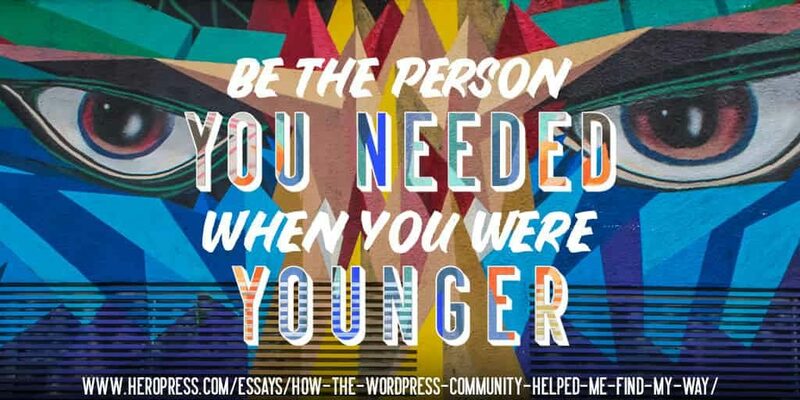 When I was introduced to WordPress, I was going through one of the most trying times of my adult life. My dad had suddenly passed away just a few years before. We didn’t have the best relationship, but his quirkiness, interest in esoteric things, and passion for food certainly rubbed off on me. I was living with roommates, but moved back home to be with my mom. Not too long after, she developed debilitating osteoarthritis in both of her hips. From a physically healthy yet grieving 52-year-old woman to eventually becoming handicap and walker-bound, needless to say, impacted our lives greatly. I became her caretaker, and I also worked retail part-time for the flexible schedule. I felt emotionally exhausted, uninspired and quite lost with what my next steps would be. I grew up using the internet fervently as a youth and in my college years. I met new friends, learned new skills, and traveled to new places thanks the endless source of information it provided for my active mind. So when a friend, now my mentor, John Bolyard, approached me to help him in his web marketing and development consultancy using “WordPress” I just said “yes.” It was mysterious, being unknown to me, and intriguing, which is usually a green light in my book! I started doing administrative work on a website he helped develop for a national guild. Like many situations, he had finished their website and they would circle back to him for minor updates. I took on the minor updates, started tinkering on my own, and fell in love in the process. The accessibility with which one could make changes and produce content dynamically was just mind blowing to me. It was my gateway to web development and now I could make web content with the ability to work with code, if I so chose. It seemed an endless source of learning and knowledge- it was a great fit. That went well and he brought me on a larger project to help the artist, Dorothy Braudy, create her website archive. I was able to blend my affinity for the technical and handy visual memory to help an all around amazing person (she’s still one of closest people in my life) tell her story through her art. I was thrilled to have the challenge and the privilege to bring her vibrant and prolific work (hundreds of pieces) to the web. I also started assisting John with teaching WordPress classes at SCORE, a government organization that helps people develop and sustain small businesses. We volunteered our time teaching business owners WordPress to help them build their own websites. It was challenging yet rewarding to see them feel empowered that they could take a hands-on role in making their web presence. Nevertheless, I ended up with several clients and that’s how my freelancing career began :). I also started to going to meetups. John brought me to my first one in the San Fernando Valley. I was like wait…this software is cool and people gather to talk about it? I can also learn stuff too?! Get outta town! Well, I started attending fairly frequently. Particularly, the meetup in the West Valley lead by Andrew Behla (then at the Topanga Canyon Library). I soaked up info from presentations given by Roy Sivan, Suzette Franck, and Lucy Beer (who is now my teammate). Just to name a few ;). After building a consistent client base, I also started working part-time as a project assistant at a boutique museum exhibit development firm. My first project was for the Huntington Library, Art Collections and Botanical Gardens supporting the development of an educational WordPress website for their Junípero Serra exhibition. What were the chances? My skills in WordPress proved helpful for the project and the firm’s website. At this point, I had seen my mom through her first hip replacement and recovery, and she was moving on to her next one. I thought about where I saw myself and also where I could build a sustainable future given the circumstances. I thought WordPress, and so I did a trial as a Happiness Engineer at WordPress.com. While I didn’t get the position, I met some great people and learned exponentially more in that short time than I had on my own. More so, I learned about the users, WordPress’ strengths and weaknesses, and how to fill that gap in an accessible way. I was sad, but also motivated. I took on more client work and just did the thing. After three years, it was time to leave the exhibit development firm. It was fascinating, it provided me a design, development and project management vocabulary I had never encountered before. However, I needed a firmer career path and I still thought WordPress. My mom was recovered, I had also just recovered from some health issues, and I knew it was time for a change. While doing client work for several months, I also explored options on how I could “level up.” Maybe it was my time to dig into web development: should I learn on my own, go to a school? In my gut, I knew I had to find work that supported my endeavors, so I started applying in the WordPress and tech ecosystem. I networked, attended workshops, and met some awesome folks in the local tech and WordPress communities. I was also approached about joining the organizer team for WordCamp Los Angeles (WCLAX). I said “yes” (that magic word) and last year we had a great event. When we started planning, I had also heard from WP Media, (the company behind the WP Rocket and Imagify plugins), that I was hired for their Customer Support position. We’re a remote crew spread across 7 countries. However, I’ve been lucky enough to spend time with them at WordCamp Europe, WordCamp US, and our annual retreat last year. 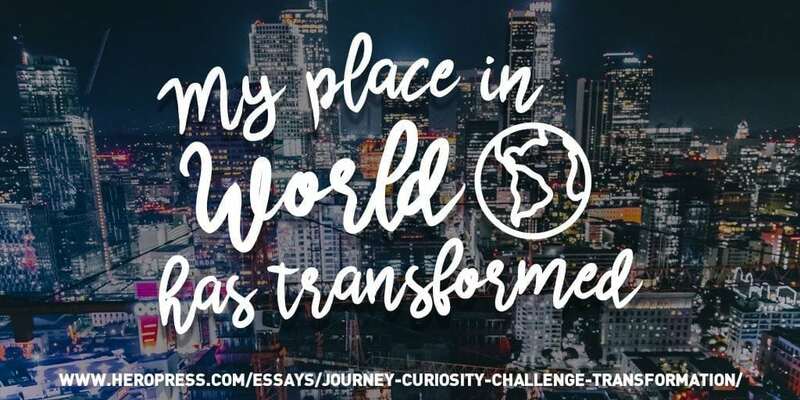 The post The Journey: Curiosity, Challenge, Transformation appeared first on HeroPress.